Breast milk is best for your baby – breastfeeding should always be your first choice. 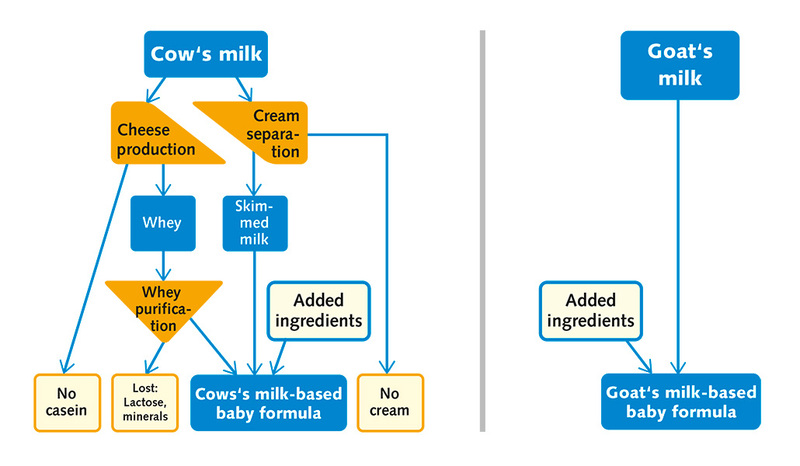 Bambinchen baby formula is made from fresh, full-cream goat’s milk with natural ingredients. This distinguishes it from most other baby formulas on the market, which contain little or no butterfat, but rather added vegetable fats. Bambinchen products only have a few added ingredients (e.g. vitamins and irons), which are tailored to babies’ needs, making Bambinchen 1 baby formula and Bambinchen 2 follow-on milk adequate meals. Bambinchen contains no cow’s milk, and is made daily from fresh goat’s milk in New Zealand. 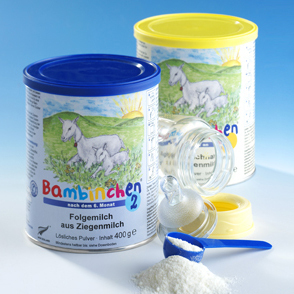 Bambinchen thus contains all the positive ingredients of fresh, full-cream goat’s milk. Minimised processing ensures excellent tolerance. Bambinchen is naturally gluten-free, and made without any genetic engineering. Bambinchen has optimum protein content, preventing the risk of becoming overweight in later life. The proteins in goat’s milk are easy to digest. Bambinchen’s suitability has been scientifically proven through clinical studies. Decades of experience and a good, mild taste help ensure satisfied babies. Happy, satisfied parents have been reporting their positive Bambinchen experiences to us for over 20 years. Only important components tailored to infants’ needs are added to Bambinchen 1 + 2. While cow’s milk is usually modified through added whey and many different processing stages to make it suitable for infants, the Bambinchen goat’s milk does not undergo any processing modifications – except for drying.